Why did Asher Keddie wait 5 months to say she's pregnant? 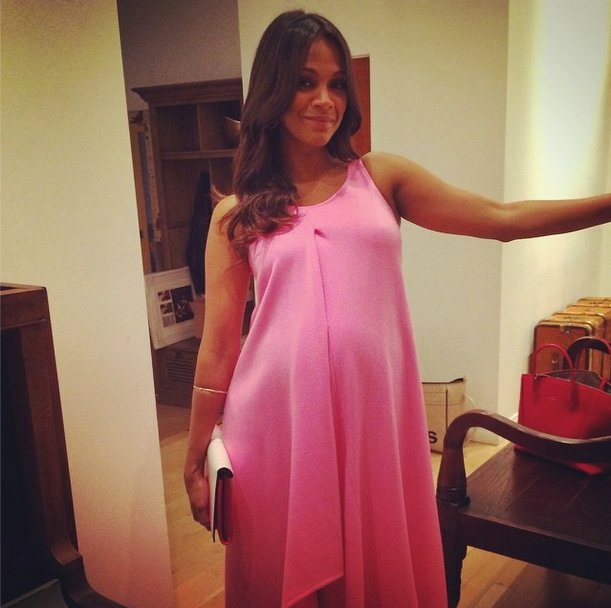 Why are celebrities waiting until the third trimester to announce they're pregnant? 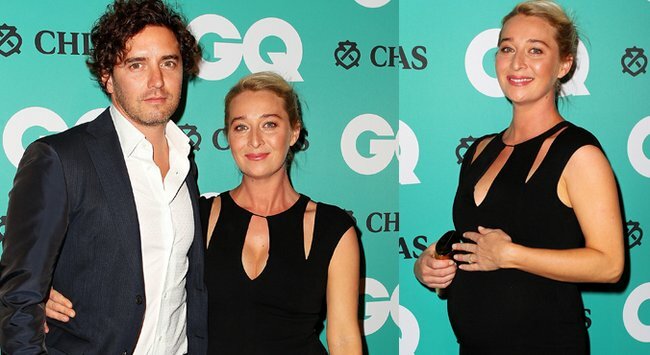 Last night, Asher Keddie announced that she was pregnant. On the red carpet at the GQ Awards. Not that she could have kept it a secret, given she’s clearly several months along. Like, five months. At least. She’s expecting in Autumn. 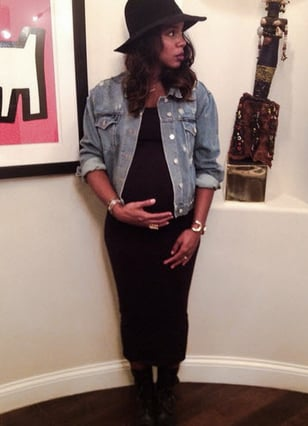 Asher isn’t alone in revealing her pregnancy late in the second or early in the third trimester. All the celebrities are doing it. Eva Mendes was almost seven months along before she announced her pregnancy. Nicole Trunfio was also seven months along when she made the announcement, and fellow Australian super model Robyn Lawely was six months pregnant before she told the world she was expecting. Judging by the size of her bump, Blake Lively also waited a whole lot longer than the standard 12 weeks before revealing. The same goes for Liv Tyler. Blake Lively waited months to announce her pregnancy. 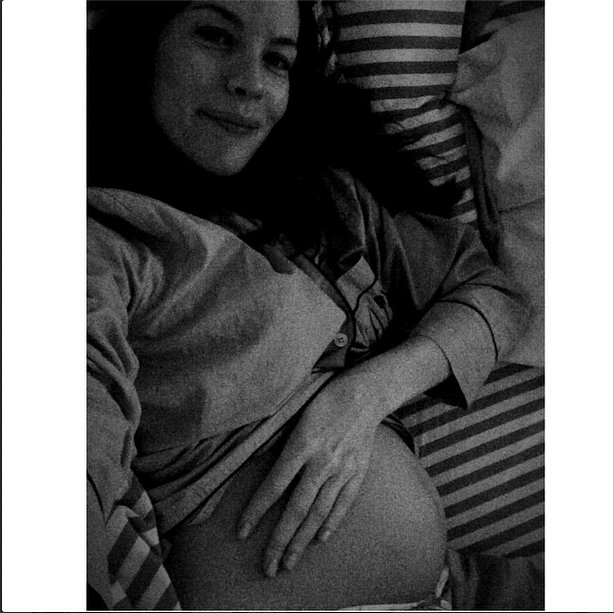 It seems like holding off until your bump is literally impossible to ignore (or in Eva’s case just not leaving the house until your baby is born) is the new cool way to see out your gestation period. But why? Well, I suspect it might have something to do with how relentlessly the bodies of pregnant celebrities are scrutinised. How relentlessly the bodies of ‘maybe’ pregnant celebrities are scrutinised. If you don’t announce you’re pregnant until you well and truly are, the world isn’t going to stare at you creepily with baited breath, waiting for your bump to pop. The global tabloid industry also has the rather horrible habit of hounding pregnant women with paparazzi. Poor Zoe Foster-Blake had a $20,000 bounty on her head during her pregnancy. Waiting a long time before you make an announcement is a good way to keep the paps off your back. Zoe Foster-Blake was harangued by paparazzi while pregnant. There seems to be this cultural feeling that pregnant women’s bodies are public property, to the point where we’re even considering legislating what they can and can’t do. Add to that the cultural feeling that female celebrities’ bodies are public property and you have a strong cocktail of “everyone up in your business” that would be bloody hard to swallow. We’re not sure if keeping your pregnancy secret for months is a trend that will take off amongst us normal folks, but we can 100% understand why five months is the new 12 weeks if you’re famous.